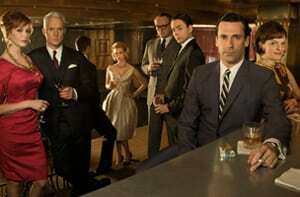 HOME -> B2B Marketing -> Acquisition -> How Would Modern Mad Men Choose a Marketing Measurement Solution? How Would Modern Mad Men Choose a Marketing Measurement Solution? Advertising has changed a great deal since its early days to meet the evolving needs of brands and their customers. In the 1960s—lovingly (or not so lovingly) referred to as the Mad Men era—the industry was driven by an emphasis on storytelling and brand identification. As avid fans of the “Mad Men” TV series can attest, creative for ads was inspired by back-of-the-napkin drawings and catchy slogans. The effectiveness of each ad was measured by how many were printed and where they appeared. It was an extremely unscientific process. Today, the data revolution and advances in technology have combined to play a critically important role in advertising and removed some of the guesswork that existed in that bygone era. In fact, by leveraging data insights, modern marketers have the ability to truly understand the performance of their creative efforts down to the individual channel, campaign and tactic, as well as optimize future campaigns based on that insight. While the partners of Sterling-Cooper & Partners (SC&P) relied heavily on the creative vision of Don and Peggy to drive client results, in today’s marketing landscape they would likely tap a marketing measurement solution to optimize their efforts on behalf of clients like Maytag, Jaguar and Utz. So what factors would the partners of SC&P take into consideration when selecting a marketing measurement solution in today’s data-driven world? Can they integrate online and offline data? On Mad Men, Harry Crane was a driving force in getting the partners at SC&P to recognize the importance of television as clients increasingly wanted to dedicate more advertising spend to reaching consumers through this medium. Much like how SC&P needed to quickly create a television department to keep pace with competitors and address the various channels their clients wanted to leverage, the partners at SC&P today would need a marketing measurement solution that has the ability to collect, normalize, format and integrate data from both online and offline channels, as well as devices, to help clients determine the appropriate mix of their advertising dollars to maximize return. Does the vendor also sell media? Don Draper and the SC&P team fully understood (and often experienced) that conflicts of interest – be it with clients or otherwise – can pose serious issues. For example, the team experienced a number of complications when they dropped long-time client Mohawk Airlines in an ill-fated attempt to add American Airlines to the roster. As such, they would recognize the inherent tension of working with a measurement partner that also sells the media that they are measuring, and would likely think twice before signing them on. Is it a “plug and play”? When the partners at SC&P got their IBM 360 computer, there was a great deal of skepticism—and in the case of Michael Ginsberg, paranoia—around how quickly the agency would be able to put the computer to use and see actual value for their clients. While Ginsberg’s breakdown might have been an extreme reaction, SC&P would definitely maintain some old-fashioned cynicism when evaluating vendors today who promise a quick and easy deployment and would take note of solutions that seem too good to be true. In the same way that SC&P often had to go above and beyond to prove their relevant experience to prospective customers like Chevy, they’d certainly want a measurement partner that had a tried and true record and references to back it up. The partners would look for a solution that has proven experience with other major agencies to make sure it would offer them the tools they need to develop valuable campaigns and recommendations for their clients. While modern-day Mad Men would need to be data-savvy, that doesn’t mean creativity falls by the wayside. The most successful marketers today are those who are able to blend creative thinking with real, data-driven insights to garner success for their clients. In fact, as the number of channels continues to increase and consumers expect brands to engage them in more ways than ever, creativity is a vital part of any successful agency. The difference may lay in finding inspiration in data rather than Don Draper’s signature glass of Scotch. Manu Mathew is the CEO and co-founder of Visual IQ.